Pretty simple quilt, huh? But this particular quilt is very important. 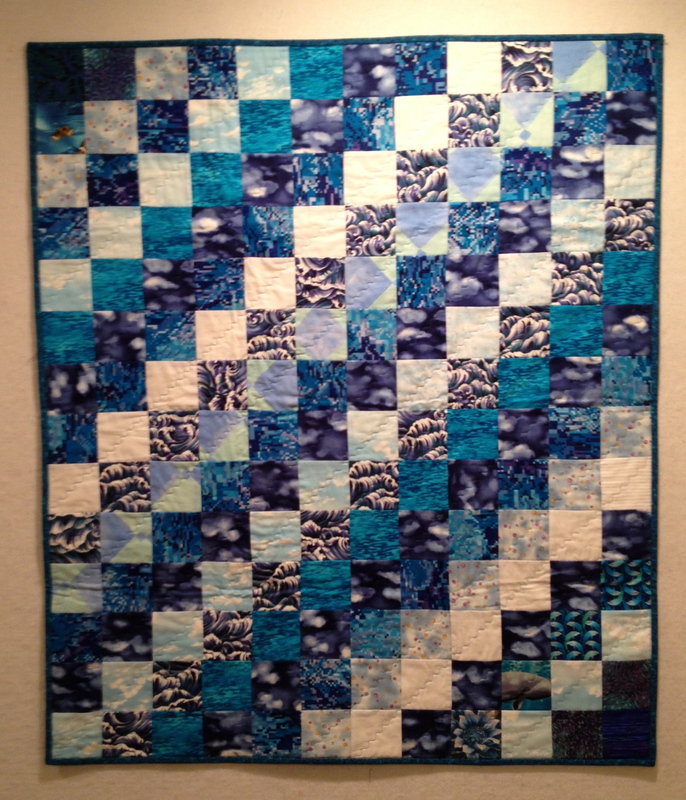 Writers have “writer’s block”, but “quilter’s block” doesn’t sound right for the stuckness a quilter experiences around not feeling motivated to work on the current projects. 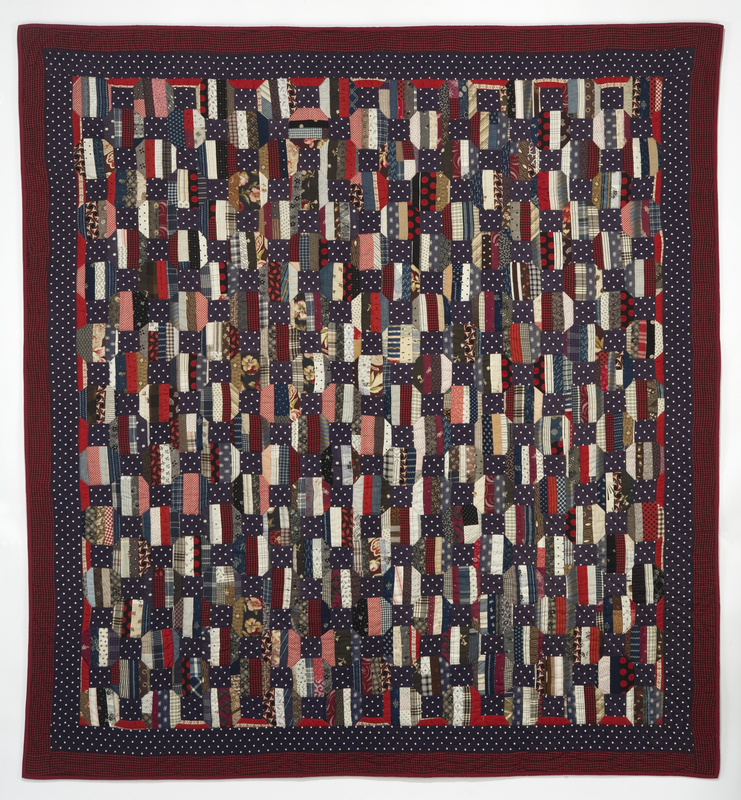 “Quilter’s quandary” suggests being stuck when confronted with a difficult situation, and that’s not quite what was happening to me during the last few weeks. I think I’ll call my malady “Restive Sewlessness”. Thankfully, it did not turn out to be chronic. I was at the beginning of a new major project, and when I started putting pieces on the design wall, the choices that I thought would be perfect turned out to be ever so NOT perfect. So I got stuck and did not want to work on this project or any other for a while. —Making a list of all of the current projects, to see if there was anything that I could find the creative energy to tackle. The list included 23 unfinished projects, all started and worthy of completion. This list did not help the current situation. —Organizing and cleaning my studio, and sorting my fabric and supplies. If I wasn’t working on a project, I could at least play with fabrics, etc. Always a good idea. —Just sewing something, anything. I made three kits from squares leftover from making previous kits for EBHQ’s Children’s Quilt Project and just started sewing them together. This third choice did the trick. 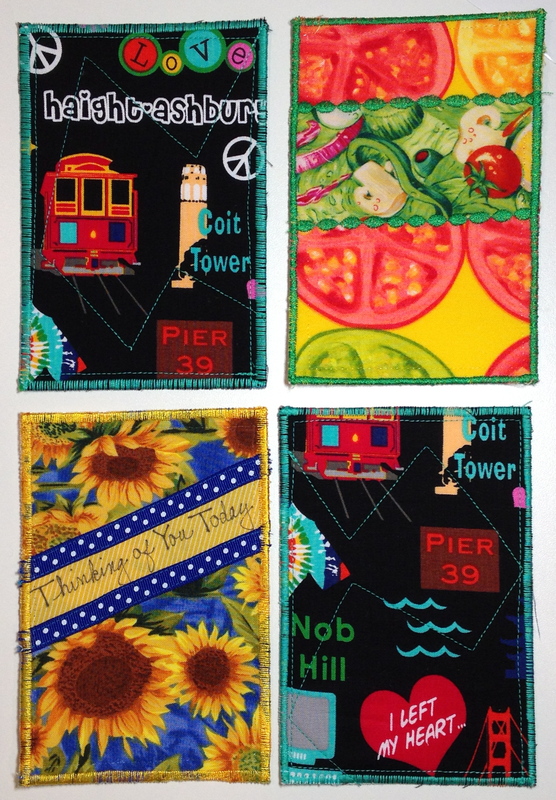 In about a week, I sewed three small quilt tops (like the one above) quilted and bound them all, and also quilted someone else’s quilt top. It really seemed to help that I was working on quilts that were not too “precious”, but merely ones that we hope some kids will love. Now I’m back on track, moving forward, slowly but deliberately. It feels great to have the energy back. 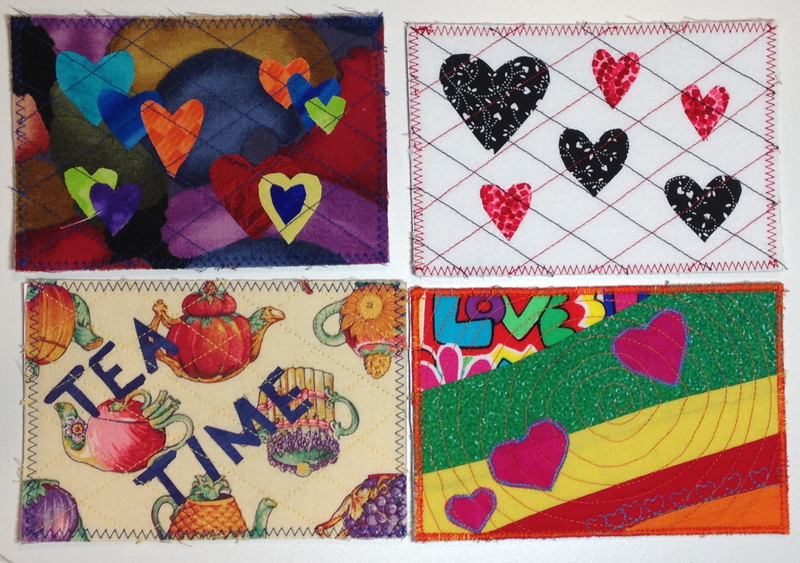 Just so there are some fun pix on this site this week, here are a few of the latest postcards made by EBHQ members. I’ll put them in the EBHQ Postcards Gallery, too. I hope this postcard project is fun for all who try it. I’m loving the results, and I know the Guild is appreciating the efforts. Red, white, and blue . . and brown??? Even though my very first quilt ever was red, white, and blue, I have never been very fond of this color combination, especially after I discovered the power of yellow. Perhaps the extra depth, created by the addition of yellow (in the form of brown), is part of what drew me to this vintage quilt top in Houston in 1994. 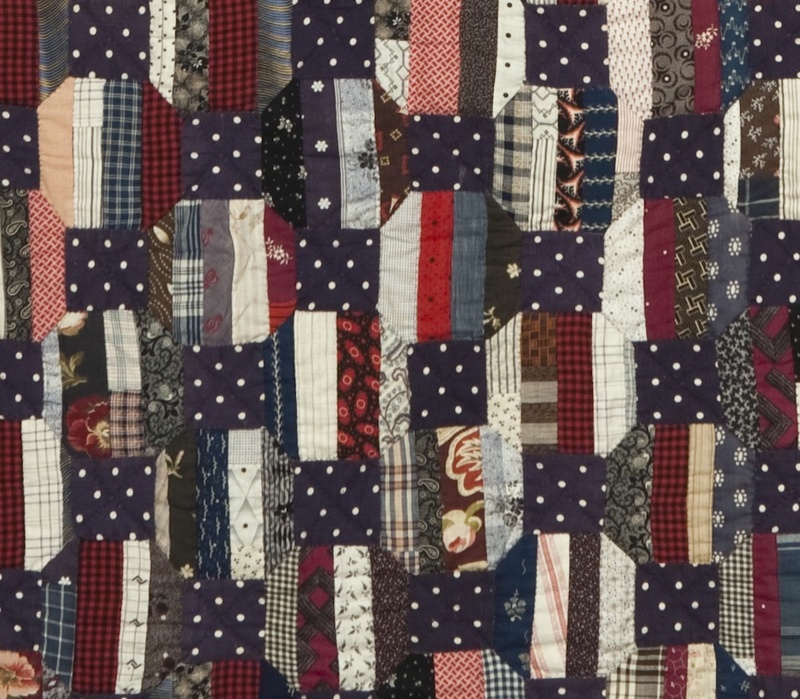 Just because I also love quilts that showcase a wide variety of prints and plaids, I include here two details here, so you can get a closer look at these gems, many of which are now being reproduced as “Civil War” fabrics. Click on photos to get even closer. 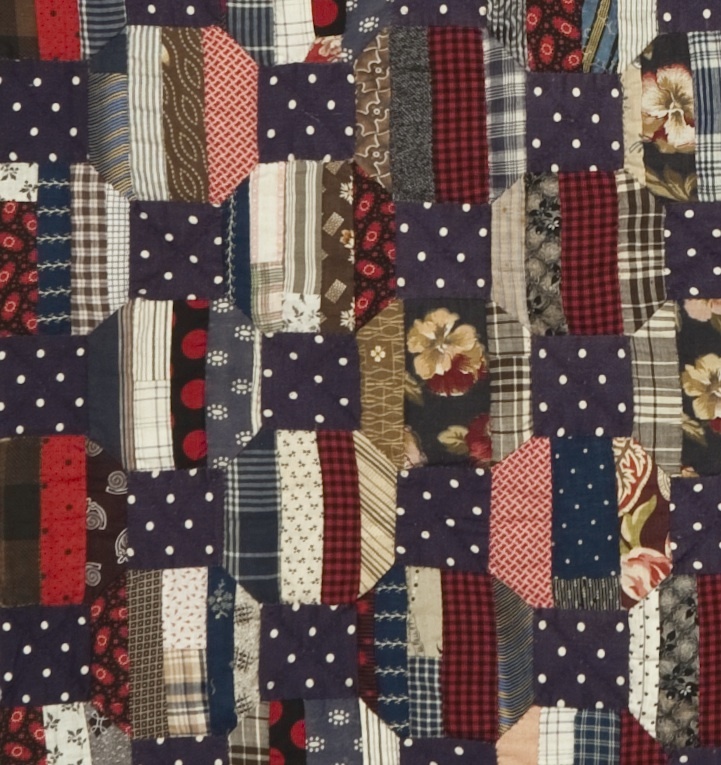 This is truly a scrap quilt, and the below detail shows how some of the pieces in the octagons are also pieced together with even smaller scraps. Collectors of vintage quilt tops will note that I have destroyed the value of the quilt top as an antique by having it hand quilted by Quilting Plus in the ’90’s. Oh, well . . .
Because the top was so old and delicate, it was quilted sparingly, through the dotted square patches and around the edges of the pieced hexagons. At least I remembered to take a photograph of the back of the top. 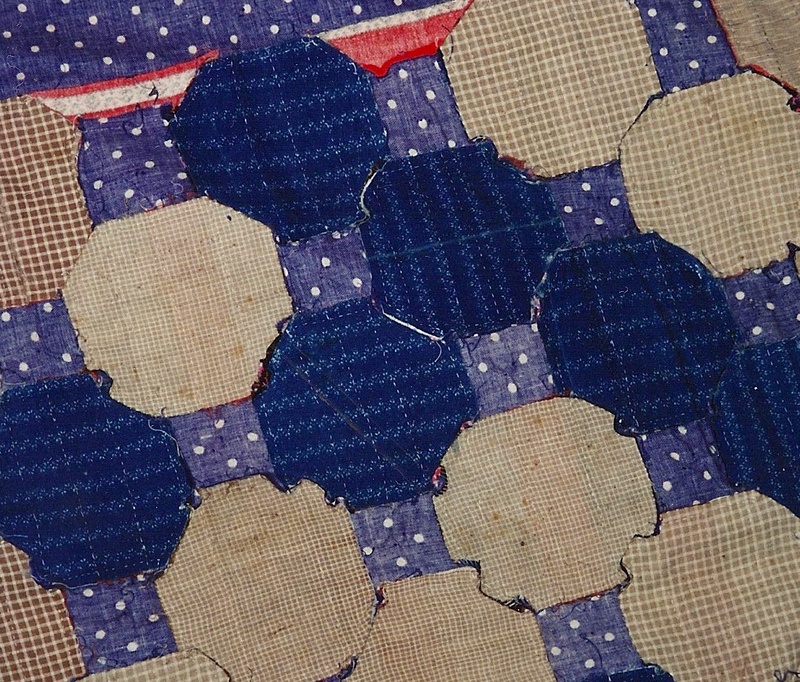 This photo shows how these hexagons were hand pieced onto scrap fabrics and homespun before being sewn into the finished quilt top. Yes, just one more. 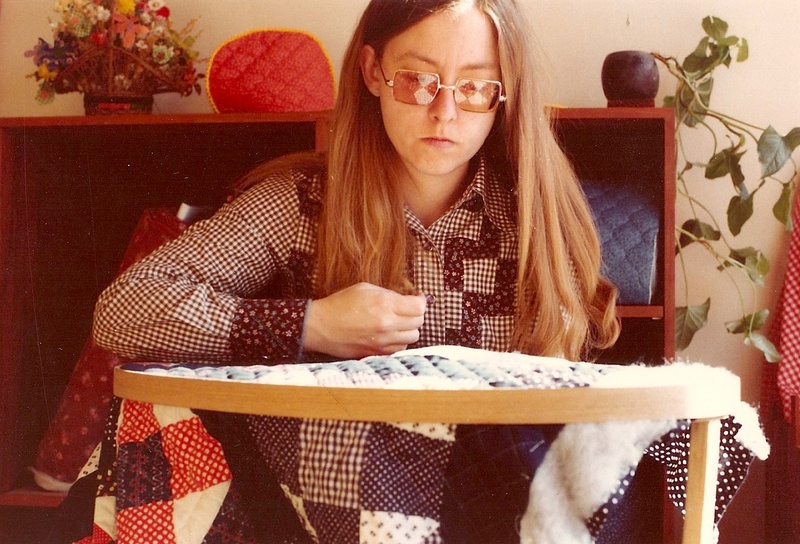 Since it no longer exists, this quilt can be viewed only in a few candid photos of my first quilt, shown here in the process of being completed. A select few of you will know exactly where this photo was taken.